To connect a profile through Buffer, you first need to have that social profile connected on Buffer. 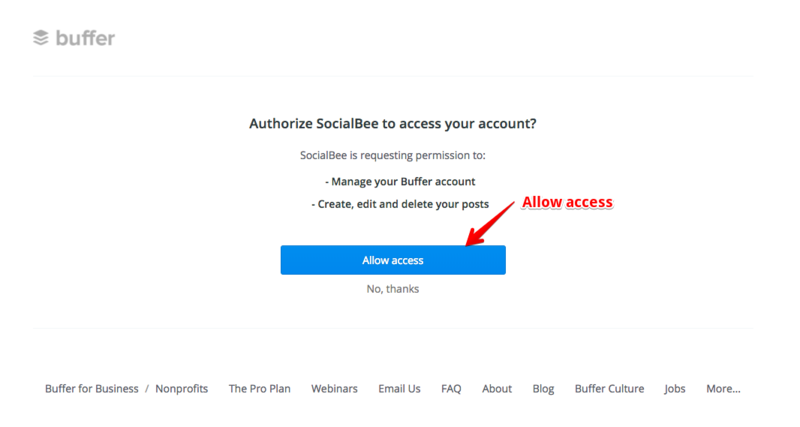 If you don't have a Buffer account yet, you can create one, here. You can create a new account by connecting a social profile or by entering an email address and password. 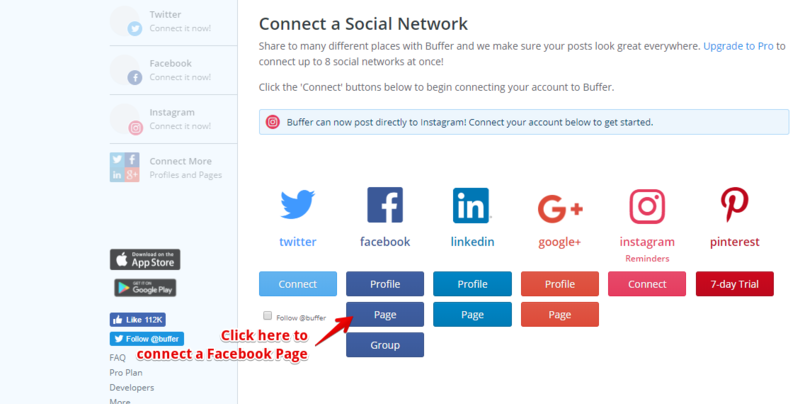 Once you have an account with Buffer, go ahead and connect your Facebook page/profile (in case you didn't sign up using your Facebook). You can reach the "Connect a Social Network" page by clicking the + next to "Accounts" on your left, or by clicking the "Facebook" tab under the Accounts section. You can also read more about how to connect profiles on Buffer from this article. Once your Facebook is connected, come back to app.SocialBee.io. Then, you need to go to your Account drop-down menu and select Profiles. (You can do this whenever you want to connect a new social profile). Once you’ve accessed your Profiles page, you will be able to see any connected profiles (if you have any). When doing this, you'll be shown a list of all the social profiles you've previously connected to Buffer, including those that aren't Instagram or G+. 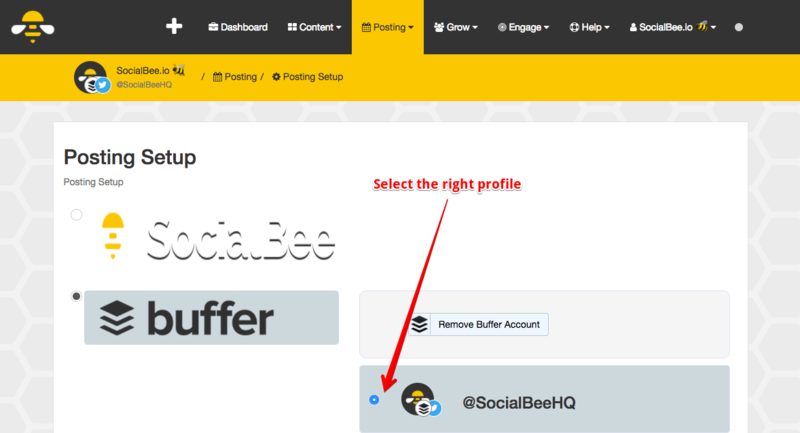 Once you click Add, your social profile will be connected to SocialBee and you can start creating your posts and schedule.